When it comes to spices, there is without a doubt that curry is the most flavorful of them all. This powder gives any dishes a unique taste. Its flavor cannot just be defined either as sweet or savory because it is both! That is why it is common with Indian and Thai dishes. The unique flavor that curry has is attributed to the fact that it is made up of different spices and ingredients. As we all know, the composition of curry may vary depending on the region and country, but it typically consists of cumin, red chiles, fenugreek, turmeric, and coriander. Because of this unique composition, a lot of people are having a hard time finding an alternative for curry when they run out of it. That is why I am here—to help you find the best substitute for curry powder. Substitute for Curry Powder: Here Are Your Options! Finding a spice that offers the same flavor as curry powder can be a bit challenging. You may be tempted to mix your own curry powder but that would involve up to 11 spices and can be a bit tedious. Western curry dishes use curry powder for their meals. On the other hand. Indian curry dishes use Garam Marsala, and that is why it makes sense to use this spice as an excellent alternative for it. In fact, it is considered to be the best substitute out there. The name of the space came from the Hindi language. Garam means hot while Marsala implies a mixture of spices. Considering its name, we already know what Garam Marsala is for—to spice up your dishes! But this distinct characteristic of Garam Marsala is what made it different from curry powder. Garam marsala is spicy and piquant while curry powder is sweet in general. Another difference between the two is that curry powder is milder than Garam Marsala. When using this in your recipes, it is recommended that you use only ¼ teaspoon of garam marsala for every teaspoon of curry powder that the recipe calls for. The taste of cumin does not come near the flavor of curry powder. This goes the same with allspice. But when combined together, these two spices can produce a taste that is similar to that of curry. Instead of creating your own curry mix, it is recommended that you go for these two spices as they are easier to work with. When using these two spices, mix one part of cumin with a quarter part of allspice. 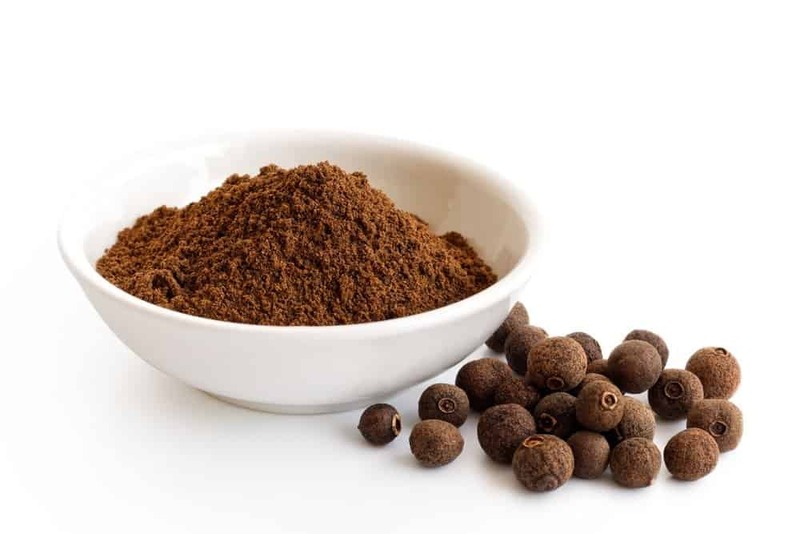 This is the perfect cumin to allspice ratio to achieve the taste of curry powder. This is another perfect curry alternative simply because it is curry, just in a different form. It is made up of different spice same with curry powder. However, wet ingredients (like oil from garlic or ginger) are added to it to create a paste. The addition of the oils also strengthens the flavor of this condiment, making it more potent than that of curry powder. Because of this, there are a few dishes that would benefit more from curry than that of curry powder. But if you are planning to whip up a recipe that requires curry powder, it is best that you use only an amount of curry paste that is equivalent to half of the amount of curry powder needed. This alternative is recommended for stews and soup recipes. Another Indian spice that you can use in place of curry powder is Chaat masala. This spice is similar to that of Garam marsala in the sense that they are both Indian spices. But as we all know, Garam Marsala is a spicing ingredient. Well, Chaat masala is considered to be a cooling spice and have the sweetness and mildness that is similar to that of curry powder. Because of their similarities, you can use a proportion of Chaat masala that is equal to the amount of curry powder that the recipe needs. Because of its distinct taste, it may seem impossible for you to find the best substitute for curry, but as it turns out, there are plenty of alternative options for it! I recommend that you always keep a stock of curry in your kitchen, but just in case, it would also be wise for you to store some of these alternatives in your kitchen. Just keep in mind the different textures and flavors of each of these spices so you can choose the best one for your needs. If you found this article quite helpful, please share this article with your fellow curry lovers! And if you know more substitute for curry powder, you can share those with us in the comments section below!